Snakes in dreams symbolize the unconscious. Snakes or serpents indicate you’re in a period of transition. >> Read more about how to interpret snake dreams. Enhance your interpretation with dream analysis tips and techniques based on the work of Freud, Jung and other contemporary dream analysts. Dream Dictionary: >> Discover snake dream meanings in the A-Z dream dictionary. From snake attack and being bitten by a snake to dreaming about a yellow snake and more, find out about the different meanings of snake dreams. Discover the wide range of meanings behind snake symbolism and decipher one of the richest symbols in the field of dream interpretation. What does it mean when I’m dreaming of snakes? When looking in a dream dictionary for the meaning of snakes or serpents, it’s often difficult to decide which definition applies to what you dreamed about. Learn how to interpret snake dreams in your own terms with dream analysis techniques inspired by the work of Jung and other contemporary dream analysts. Behind the confusion or fascination about what just happened in your sleep is an opportunity to explore feelings and insights that impact you not only at night, but also in your daily life. The guide presents specific dream interpretation questions to personalize your analysis and truly understand the significance of the meanings behind your dream. Don’t want to do it alone? 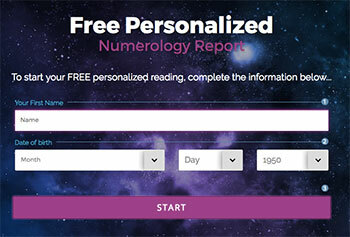 Do you want a dream interpretation? The best way to get answers now is by chatting with a live psychic. Oranum is the largest community of spiritual counselors and we highly recommend their services. Click here to chat live now for free. Dreams of snakes have been an object of fascination throughout history. What do some of the most famous dream theorists think about this topic? Read more about what Jung and Freud say about it. Behind every snake dream hides a powerful message. 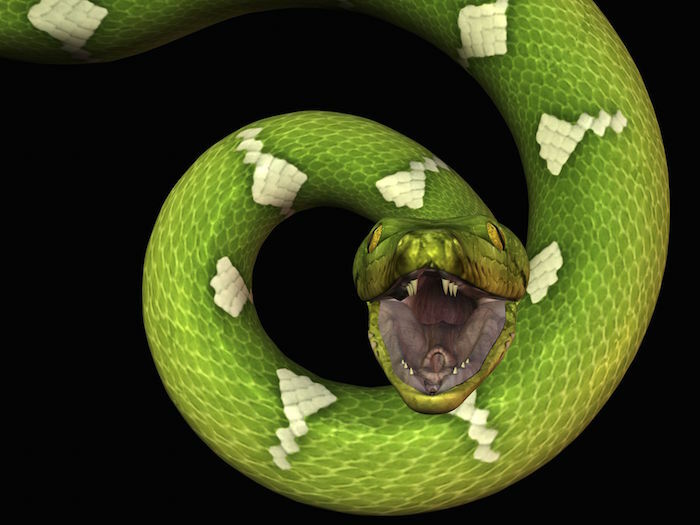 Dreaming about snakes could be a warning about an imminent threat or the sign of positive personal transformation and carry different meanings depending on the symbols in your dream and what’s happening in your life. Dreaming about snakes stands in the top most common dream themes. Instead of being left hanging in fear or confusion by the presence this wild reptile in your dream, you can learn how to make it an ally for self-understanding and personal growth through an accurate interpretation. Snakes in dreams are a sign, an invitation to connect more deeply with oneself. If you know how to decode it, dreaming of this wild animal can be a gift and great opportunity for transformation in many aspects of your life. Are you ready to answer the call? Panic overwhelmed me and I stood up and grabbed the snake by the head. Poison came out of its fangs and dripped onto my skin. (…) I was heading towards an open door holding the snake when I woke up. The Interpretation: The dream speaks of starting something new in your life (or the hope to do so), like a new project, taking a new direction. At the same time, the snake illustrates the struggle that comes with… >> Read more about this dream and its analysis. 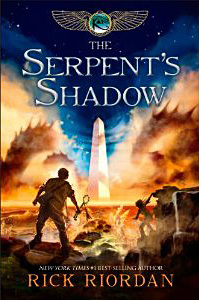 Get inspired by the thrilling conclusion to the best seller phenomenon Kane Chronicles. Magic spells, fantastic battles, occult and paranormal manifestations will plunge you in an epic adventure that will inspire your wildest dreams and nourish your interpretations.